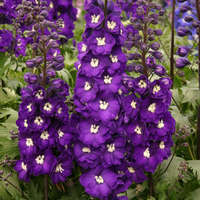 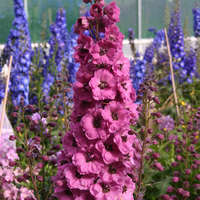 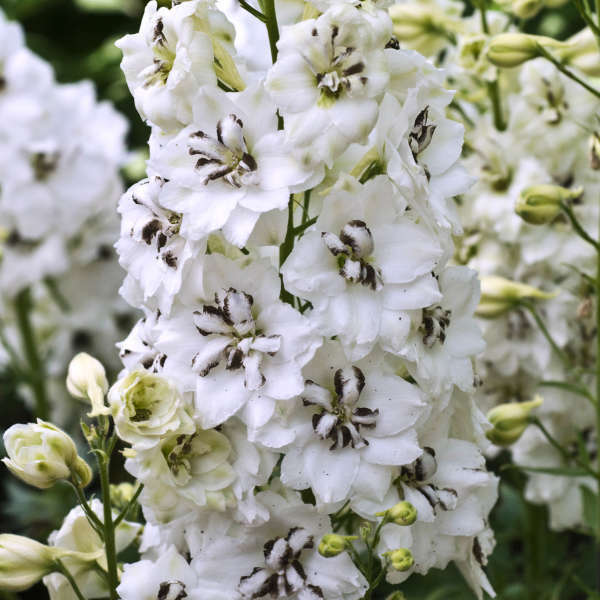 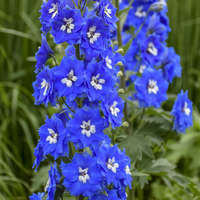 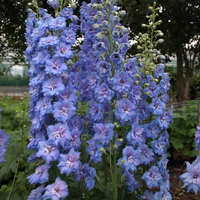 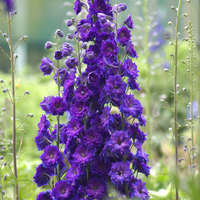 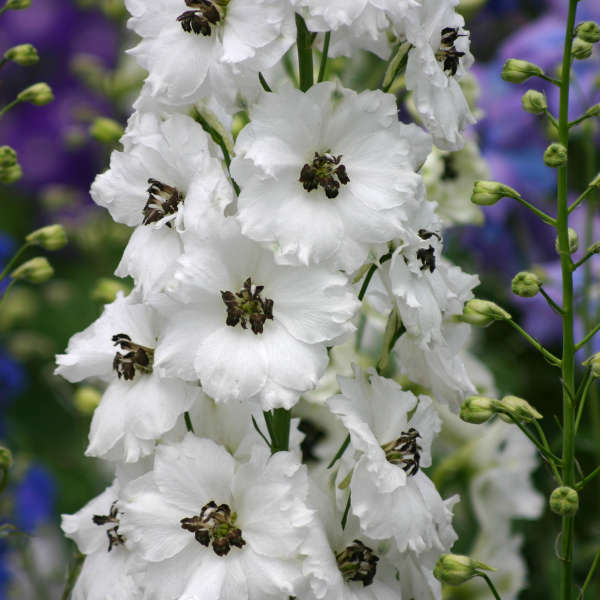 Aptly named, this Delphinium produces tall spires of frilly white flowers with black bees. 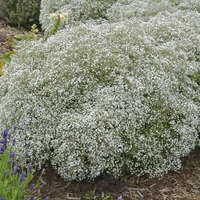 The stems are very strong, holding up well in the landscape. 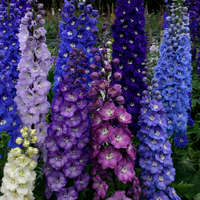 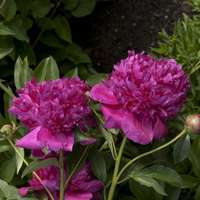 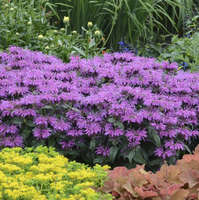 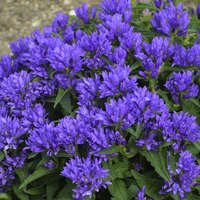 Planted en masse, they make a magnificent display in early summer.